Like I said before, I love pork. I decided to use a boneless pork shoulder in this recipe with Dorot's finest spices. I was thinking that there really isn't anything better than marinated pork, so I decided to use Dorot's spices to marinate this meat. It was very good, these spices are amazing with this recipe. You have to try it! In a sauce pot, heat all of the marinade spices (ginger, garlic and cilantro) in the olive oil until all of the cubes are melted together. Season the meat with the Gator Seasoning and cinnamon, add the diced jalapenos and Italian dressing. Pour marinade over meat, mix and refrigerate for 3 hours. Once meat is marinated, place into a cast iron pot or Magnalite pot and brown meat on medium-high temperature. Once browned, leave meat in the pot and throw in onions, bell peppers, and sausage and brown. After all meat is browned well, add 4 cups of water or chicken broth and boil until meat is tender, adding more water or broth as needed. While meat is tenderizing, stir in the remaining cubes of garlic, ginger, cilantro and basil into the pot and boil. 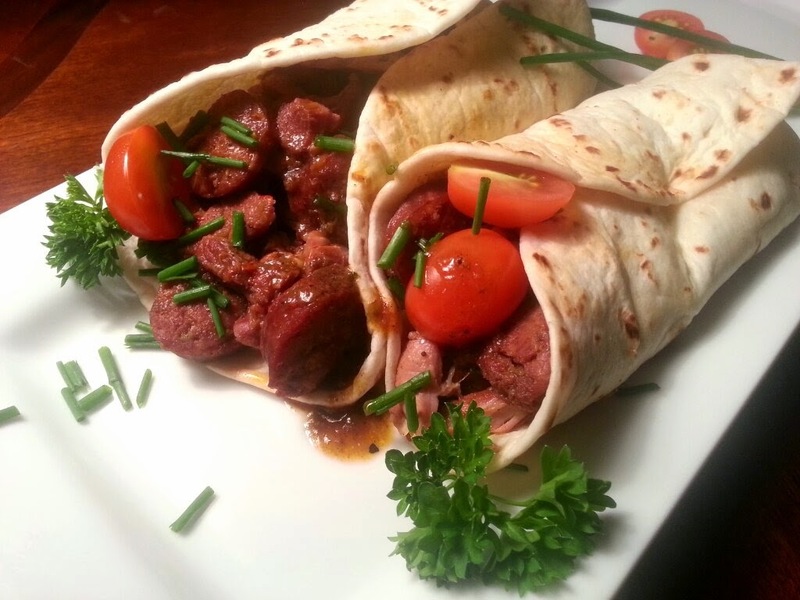 When meat is tender let it cool and serve on flour tortillas and enjoy.